Industrial Water Pumps for Sale, 4/3 Slurry Pump for mining using, Lime Slurry Pump to feed Cleaner Spiral Launder, L Lower Abrasive Slurry Pump, Light Metal Liner Pump, Tailing Sewage Slurry Pump to feed Cylindrical Screen, Cheap Slurry Pump to Feed Tailing Thickener, Low Price Slurry Pump to Feed De-watering Screens. Centrifugal Slurry Pump, mining Water Pump. Wear resistant Horizontal Slurry Pump with metal liner. 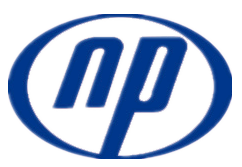 Naipu also offer OEM pump design and OEM spares production. Looking for ideal Industrial Water Pumps for Sale Manufacturer & supplier ? We have a wide selection at great prices to help you get creative. All the 4/3 Slurry Pump are quality guaranteed. We are China Origin Factory of Lime Slurry Pump. If you have any question, please feel free to contact us.